Rasoul Sadrameli was born in December 1954 in Isfahan, Iran. 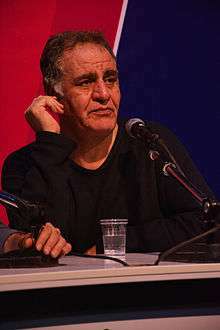 The Managing Director of MILAD FILM (established in 1979, the first company in distribution and production of Iranian films after revolution) began his journalism career while he was just 17, and he collaborated with Etela'at Newspaper as reporter, storywriter and editor of Incident page and then as the Editor of Parliamentary Service. He studied sociology at Paul Valéry university of Montpellier in France. He began his professional activities in the Cinema by production of a film entitled Blood Raining in 1981. This film is the first cinematic project after revolution.